Say Hello to Elena – Disney’s First Latina Princess! 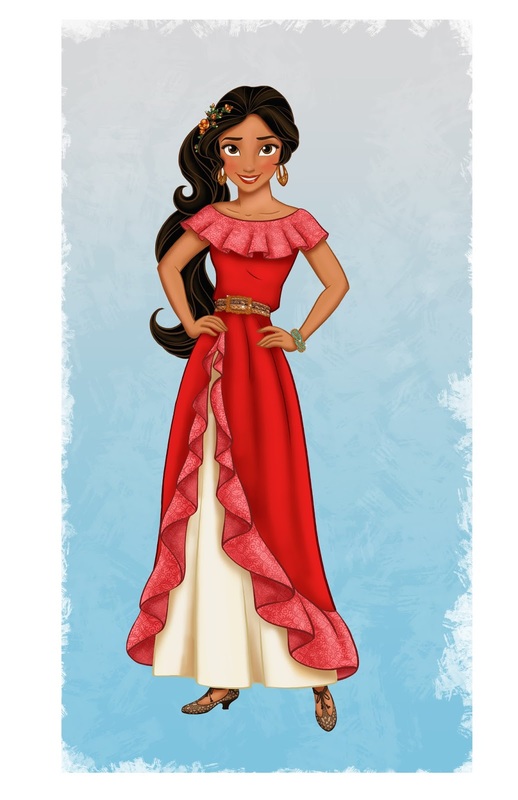 Exciting news from Disney Junior – Disney has created their first Latina Princess! Today we were introduced to Princess Elena of Avalor, a confident and compassionate teenager in an enchanted fairytale kingdom inspired by diverse Latin cultures and folklore. We’ll first get to met Princess Elena in a special episode of Disney Junior’s, “Sofia the First” which is beginning production and scheduled to premiere in 2016. That storyline will pave the way in 2016 for the launch of the animated series “Elena of Avalor”. Princess Elena’s journey began long ago when her parents and kingdom were taken from her by the evil sorceress, Shuriki. Elena bravely faced the sorceress to protect her little sister, Princess Isabel, and grandparents but in the process, her magical amulet pulled her inside its enchanted jewel, saving her life but imprisoning her at the same time. Decades later, Princess Sofia of Enchancia discovers the truth about the amulet she has worn since joiner her royal family and sets out to restore Elena to her human form and help her return to the kingdom of Avalor. Elena is the rightful heir to the throne, but since she is only 16 years old she will rule Avalor with the help of a Grand Council comprised of her Grandfather Tito, Grandmother Cici and Royal Advisor, Duke Esteban. She’ll even be joined by some magical friends like Mateo, a wizard-in-training, and Skylar, a magical flying creature. Like all Disney Junior programming, “Elena of Avalor” stores will be guided by an established curriculum that nurtures multiple areas of child development including physical, emotional, social and cognitive; thinking and creative skills, as well as moral and ethical development. Created for kids age 2-7 and their families, the stories are designed to communicate positive messages and life lessons that are applicable to young children. Including the importance of family and family traditions. Having my own little Latina Princess, I’m excited to learn more about Elena and introduce her to my daughter. She’ll be at the perfect age when “Elena of Avalor” premieres I can’t wait to explore the show with her. So tell me, are you excited to meet Disney’s first Latina Princess?